Humble Lawn and Pool is helping customers turn their dreams into reality every week. We have our experts sit with the customer and help them understand “The Art of The Possible!” We make sure we understand exactly what you want and provide you iterative photo updates while we are doing the work so you always get what you want. We pride ourselves on building your vision using our expertise. Humble Lawn and Pool offers the highest quality in sod installation. Your lawn will have a full dense, deep rich green look and feel. 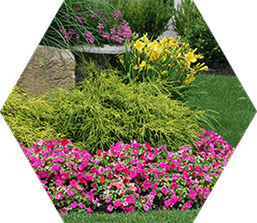 Our experienced and skilled sod staff will conduct a full analysis of soil type and square footage and provide you a complimentary customized sod installation program. To maintain our high quality standards, we execute a very strict process and ALWAYS have on of our sod experts onsite during installation. Humble Lawn and Pool will hand select only the best garden green sod form local sod farms. When you green day is schedule for delivery and installation, our experienced team will be lead by a sod specialist. Humble doesn’t stop once installation is complete either. The month after installation will make or break your investment and you should be skeptical of any company that won’t support you during that time. Not only will we provide you detailed care instructions for your new lawn, we will come back and have our professional team complete the first two mows for no charge. A full sod install will be one of the most important investments you make in your home. Don’t leave it to anyone but the best, leave it to Humble. Request a free sod installation quote!